Is there a food you’ve been craving, but your teeth or dentures make it too difficult to eat? Dental Implants can get you back to the foods you love. 1. What is my main concern? Is it chewing thoroughly? Chewing pain free? chewing without dentures coming loose? Or do I just not like the way my smile looks? 2. 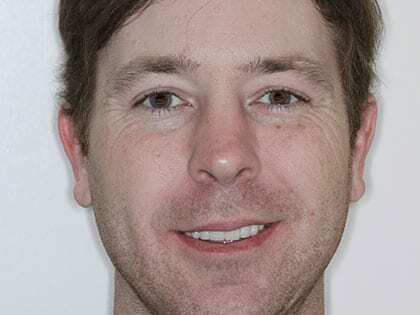 Do I save my teeth or do I let them go? This is the most difficult question to answer. The best way to answer this questions is a complete and thorough examination and diagnosis. Everyone has unique conditions and combinations of conditions that have to be considered in helping a patient on their best options. 3. Do I have a dentist with many years of experience in reconstructive dentistry/implant dentistry, teeth in a day/ all-on-4? Can they show you multiple cases they have treated over the years. Chewing problems and Smile Design are 2 different skills. You want BOTH. Just ask them to show you. 4. Can you give me a great smile? 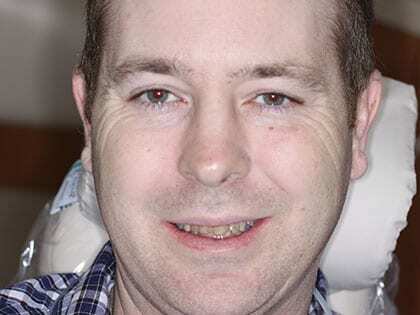 A good clinician can take a picture of your smile and recreate it on the computer. You will be able to see ahead of time, is the look right for you? 5. What is this going to cost? Depending on the extent of damage you have, the cost can range from a few hundred dollars to the price of a good car. A good clinician can design a treatment plan to fit your budget and offer multiple finance options. 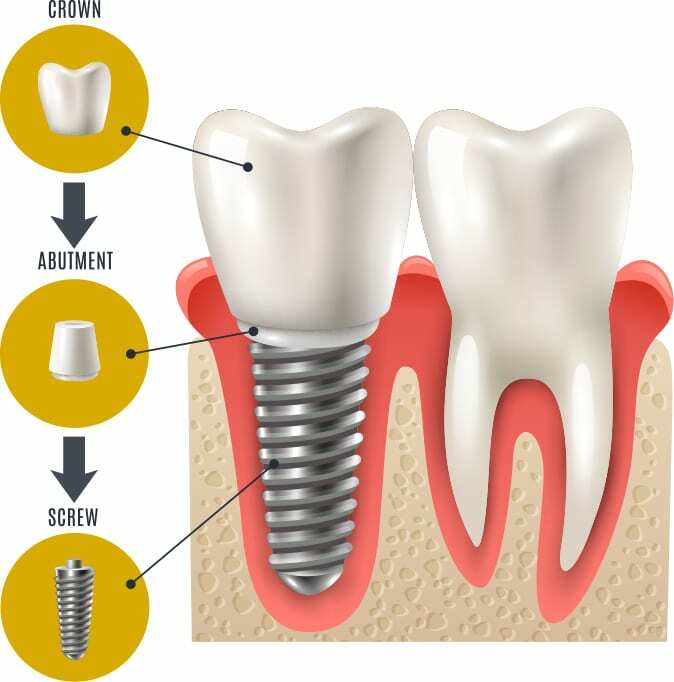 Dental implants are a permanent replacement for loose or missing teeth. They offer a revolutionary treatment option for the replacement of missing or loose teeth. Designed to function as an original tooth, dental implants are custom-designed for the best possible fit and appearance. They do not move or slip along the teeth, and they can look and feel so natural that you may have trouble distinguishing your original teeth from the implant! 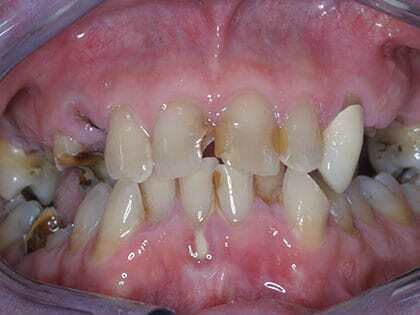 Individuals with missing teeth or loose and infected teeth are often candidates for the procedure. Also, if you currently have traditional removable dentures and would prefer a more convenient, comfortable, and longer-lasting teeth, implants may be right for you. We will evaluate your oral structures to ensure you have enough jawbone density for the treatment you’re interested in—but unhealthy gums are common in patients with loose teeth, and we can help you address this issue while restoring your smile. Patients who have insufficient jawbone material for a full set of dental implants may still be candidates for an implant bridge, teeth in a day, or All-on-4 implant dentures. If you’re pregnant, smoke heavily, or have certain other concerns, dental implants may not be the ideal approach, but we can still help you restore your smile. Drs. Coleman and Coleman have been providing implant treatment, from single tooth replacement to complete mouth reconstruction, for over 20 years. One of our dentists will perform a comprehensive examination to determine your candidacy for dental implants. If dental implants are not the best options for your needs, he will talk with you about suitable alternatives that can help you achieve your goals. Coleman & Coleman Advanced Dentistry offers an array of dental implant options. Whether you need to replace a single missing tooth or multiple missing teeth, we can help you attain your goals with natural-looking results. If you are missing one tooth, a single dental implant can be placed to restore your smile with natural-looking results. The outcome looks and functions just like your natural tooth. In fact, dental implants are often stronger than natural teeth! And you care for the implant the same way, with daily brushing and flossing. If you are missing several teeth, your smile can be restored using either individual dental implants, a dental implant bridge, or an implant-supported denture. The right approach for you will depend on several factors, and we can help you determine the ideal technique. All-On-4 anchored dentures are designed for patients who are affected by the total loss of upper and/or lower teeth, providing an innovative way to enhance strength and stability to dentures and to reduce the potential for movement and slippage along the gums. How Is the Dental Implants Procedure Performed? We will begin by evaluating your teeth, gums, and other oral structures to see if dental implants, as well as which type of dental implant technique, can help you achieve your goals. A detailed map of your mouth will be developed to help us customize your treatment plan for the greatest precision and optimal results. During this planning phase, our experienced dentists will identify the ideal locations and placement for your dental implants. During the placement procedure, you will be numbed and made comfortable. If you suffer from dental anxiety, we offer sedation dentistry options to help put you at ease. The implants will be situated within the jawbone, where they should heal and become integrated with your mouth. 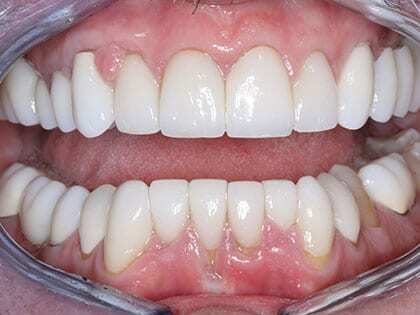 A permanent crown will be attached to the titanium post, finishing off the treatment. While your implants are healing, you will be given a temporary crown or denture appliance, so you will never be without your smile. Traditional dental implants can offer a broad array of benefits, but they can also take several months to complete. Smile in a Day speeds up this procedure tremendously while still giving you the same functional bite and beautiful look that you desire. Smile in a day is an advanced approach that includes virtually every stage of the dental implant process from start to finish, and it only requires hours—not days, weeks, or months. Only about one percent of dentists have the training necessary to perform this technique, and Dr. Coleman and Coleman have over 10 years of experience performing Smile in a Day, in addition to over 25 years of implant reconstruction experience. Our dentists can evaluate your needs and goals to determine if this method may be right for you. Only certain patients will be qualified for this treatment. However, too many people think that if they have osteoporosis they are not candidates for this procedure, and that is false. It’s only the most severe cases of osteoporosis that get in the way. Drs. Coleman and Coleman III will discuss your eligibility and recommend a technique that can optimize your results now and for the life of your smile. As an alternative to dental implants, our dentists offer full and partial sets of dentures that can address both aesthetic and functional problems caused by missing teeth. Upper and/or lower dentures can be very effective at restoring the appearance of your smile and your ability to eat and speak properly. Coleman & Coleman Advanced Dentistry is home of the “drop dead gorgeous denture.” For when your dentures have to look great and be virtually undetectable! In addition to traditional dentures, we offer dental bridges, dental crowns, teeth in a day, and other state-of-the-art techniques that can rebuild and enhance your smile, giving you the confidence and comfort to eat, speak, and laugh naturally and easily. We welcome your questions, so please reach out to our team to learn more about all of your dental implant and smile restoration options.